To honor the ancient legend of the selkie and save her Hebridean isle, Meg MacNeill spends one night on a rugged sea rock as local tradition demands. She meets the selkie there--a handsome man who emerges from the sea in a ferocious storm. Passion takes its course, and Meg loses her heart to the gentle stranger who disappears by dawn. But the legend is fulfilled, for luck returns to the island. Seven years later, engineer and deep sea diver Dougal Stewart returns to the island where he once washed ashore into the arms of a beautiful maiden--but now he arrives to build a lighthouse on the sea rock. He cannot find the maiden, but encounters a fierce and beautiful baroness determined to prevent construction on her island. Soon Dougal realizes that the mysterious baroness is the barefoot beauty he once loved--but legends, obligations and the dangerous sea all conspire to threaten a love that could save all. Years ago, Christina Blackburn posed for a scandalous painting—and now, as a proper antiquarian for the National Museum, she hides her beauty behind an icy façade and prim spectacles. 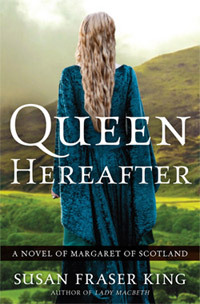 When the museum sends her to the Highlands to examine an ancient Highland treasure, she encounters the same notorious painting—and its dangerously handsome owner. Sir Aedan MacBride knows that a local legend declares that the estate's heir must never fall in love, which suits him just fine—until he meets Christina Blackburn. Recognizing the model of the mysterious painting he owns, he realizes she is the key to saving his estate, for only she knows the secret of an ancient legend. But he never expects love to interfere with his plans. 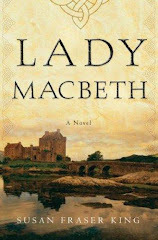 When the new Earl of Kildonan returns to the remote Highland mountains of his childhood, he intends to sell his vast estate--until he meets Catriona, the Highland girl whose work as a song collector in the Highlands unravels Kildonan's carefully laid plans to be free of his past. Even as they harbor secrets and find themselves at odds, they lose their hearts to each other--and when danger and greed threaten all they cherish, they must protect a love that rivals every dream. . .